The NTSB's full report is available at http://www.ntsb.gov/investigations/AccidentReports/Pages/AccidentReports.aspx. The Aircraft Accident Report number is NTSB/AAR-17/01. 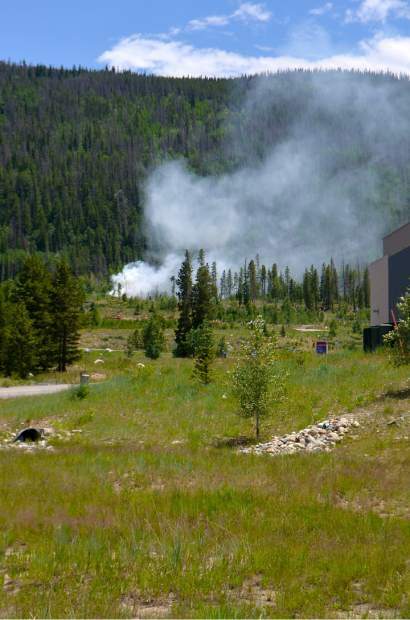 On July 3, 2015, about 1339 mountain daylight time, an Airbus Helicopters AS350 B3e helicopter, N390LG, registered to and operated by Air Methods Corporation, lifted off from the Summit Medical Center Heliport, Frisco, Colorado, and then crashed into a parking lot; the impact point was located 360 feet southwest of the ground-based helipad. The pilot was fatally injured, and the two flight nurses were seriously injured. The helicopter was destroyed by impact forces and a postcrash fire. The flight was conducted under the provisions of 14 Code of Federal Regulations Part 135 on a company flight plan. Visual meteorological conditions prevailed at the time of the accident. Airbus Helicopters' dual-hydraulic AS350 B3e helicopter's (1) preflight hydraulic check, which depleted hydraulic pressure in the tail rotor hydraulic circuit, and (2) lack of salient alerting to the pilot that hydraulic pressure was not restored before takeoff. Such alerting might have cued the pilot to his failure to reset the yaw servo hydraulic switch to its correct position during the preflight hydraulic check, which resulted in a lack of hydraulic boost to the pedal controls, high pedal forces, and a subsequent loss of control after takeoff. Contributing to the accident was the pilot's failure to perform a hover check after liftoff, which would have alerted him to the pedal control anomaly at an altitude that could have allowed him to safely land the helicopter. Contributing to the severity of the injuries was the helicopter's fuel system, which was not crash resistant and facilitated a fuel-fed postcrash fire. FRISCO, Colo. (CBS4) – They were powerful steps, not taken lightly. 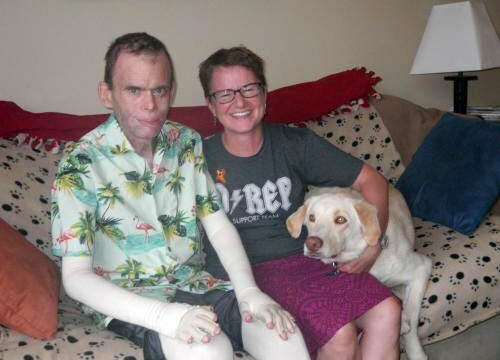 Dave Repsher has been through the most painful of treatments — for burns. This week, he walked out of a hospital to go home after more than a year of inpatient treatment. Repsher is the Flight For Life nurse who barely survived the crash of a helicopter near the St. Anthony Summit Medical Center on Fourth of July weekend last year. The helicopter, with a mechanical problem, lifted off, then crashed only a few feet away. 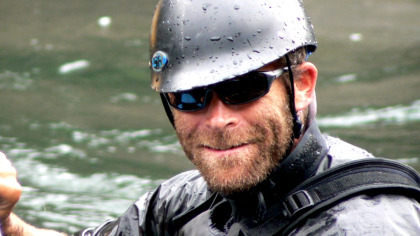 A lawsuit by the families claims the helicopter had a malfunction in its tail rotor. Repsher was burned over 90 percent of his body. 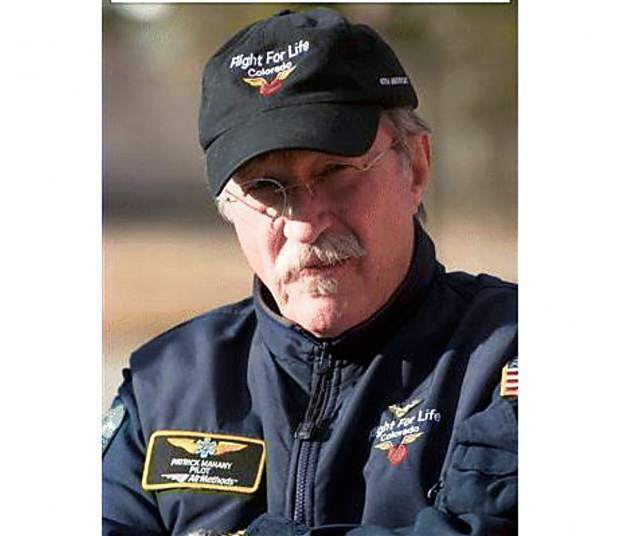 The crash killed pilot Patrick Mahany. One other nurse was on board, Matt Bowe. His injuries were less severe than Repsher’s and he’s returned to work. The battle to overcome the damage from burns has been a daily fight. His wife Amanda has been by his side. Repsher is a hero in the community; known for the many times he helped others. He has a reputation as a tough guy, burnished by his love of the outdoors and hockey. The community gave back. Fundraising efforts in the community to help Repsher and his wife brought in money. A hockey tournament run by the charity Dawg Nation Hockey Foundation at Copper Mountain early this year brought in more. Repsher’s medical issues are not resolved, but he’s home. He and Amanda walked out of the hospital hand-in-hand. Repsher did it under his own power. 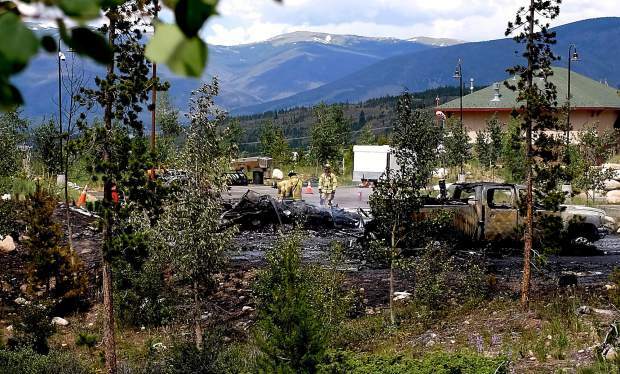 On July 3, 2015, at 1339 mountain daylight time, an Airbus Helicopter Inc. (formerly American Eurocopter) AS350B3e helicopter, N390LG, impacted the upper west parking lot 360 feet southwest of the Summit Medical Center helipad (91CO), Frisco, Colorado. A post-impact fire ensued. Visual meteorological conditions prevailed at the time of the accident. The helicopter was registered to and operated by Air Methods Corp and the flight was conducted under the provisions of 14 Code of Federal Regulations Part 135 on a company flight plan. 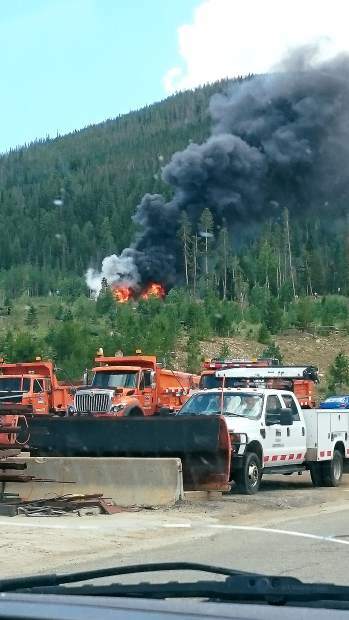 The airline transport pilot was fatally injured and two flight nurses were seriously injured. The public relations flight was en route to Gypsum, Colorado. 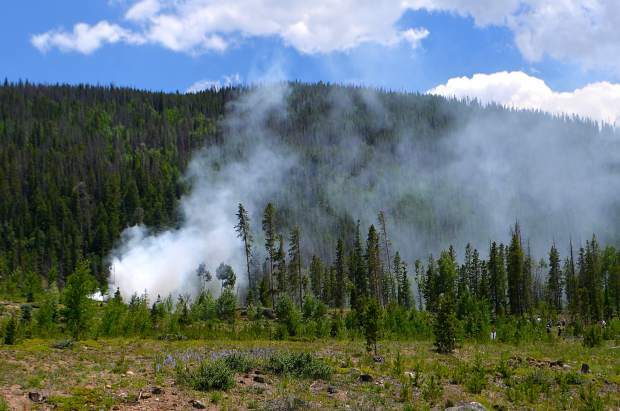 According to Air Methods the helicopter was flying to the American Spirit of Adventure Boy Scout Camp near Gypsum, Colorado, for a public relations mission. Multiple witnesses observed the helicopter lift off from the ground-based helipad, rotate counterclockwise, and climb simultaneously. 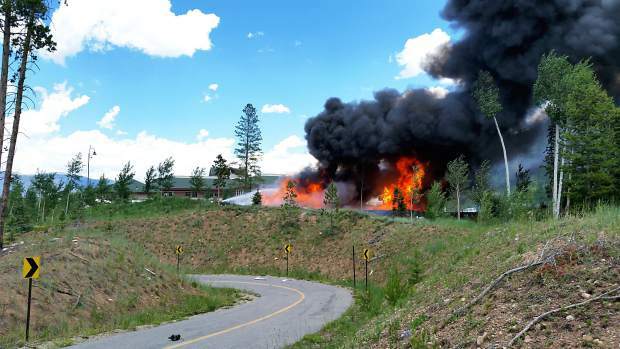 One witness estimated that the helicopter reached an altitude of 100 feet before it started to descend. 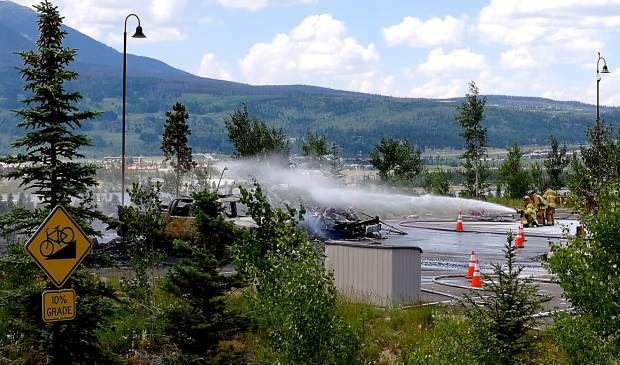 The helicopter continued to spin counterclockwise several times before it impacted a parking lot and an RV to the southwest of the Flight for Life hangar and helipad. 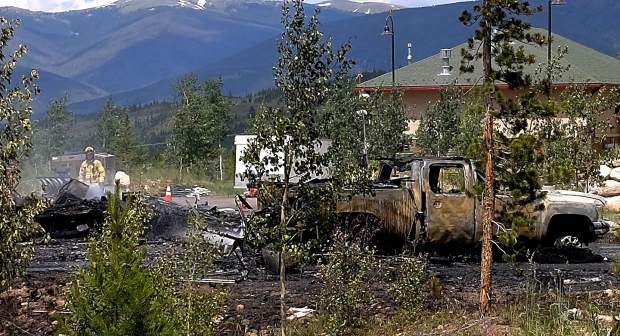 The helicopter came to rest on its right side, was damaged by impact forces, and was charred, melted, and partially consumed by fire. The commercial pilot was completing a scheduled biweekly patrol of a series of intersecting pipelines. When the helicopter failed to arrive as scheduled, a search was initiated. The helicopter was located partially submerged in a remote, thickly wooded cypress swamp. 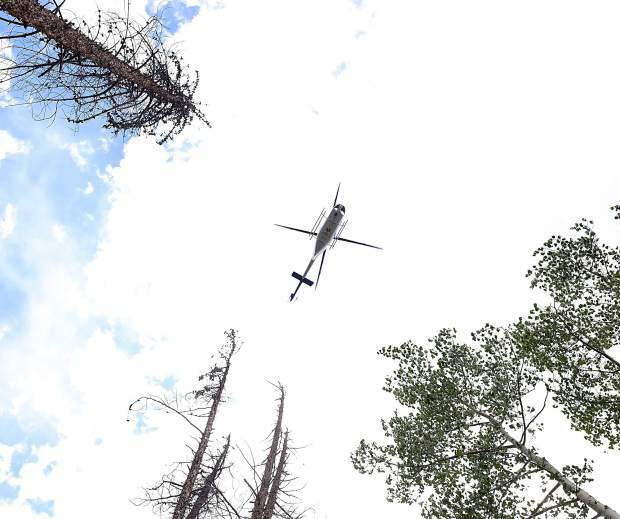 The damage to the helicopter and to surrounding trees indicated that the helicopter was in a near-vertical descent with a nose-down attitude at impact. Examination of the helicopter and engine revealed no evidence of preimpact discrepancies or anomalies, and damage to the main rotor blades was consistent with the engine producing power at impact. Review of weather information revealed that there was a large thunderstorm complex in the area, but it did not extend over the accident site. The closest weather station, located about 18 miles from the accident site, was reporting visual flight rules to marginal flight rules conditions due to light rain and a broken-to-overcast cloud layer. 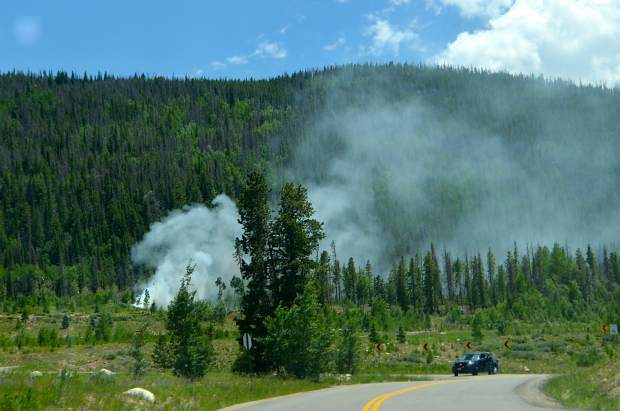 Due to an overcast layer of high cirriform clouds over the accident site, it was not possible to determine if any low clouds were in the immediate vicinity of the accident site. The circumstances of the accident are consistent with a loss of control by the pilot. The reason for the pilot's loss of helicopter control could not be determined. The pilot's loss of helicopter control for reasons that could not be determined based on available evidence. On August 3, 2016, about 1047 central daylight time, a Schweizer 269C-1 helicopter, N1549W, was destroyed when it impacted trees in swampy terrain near Jeanerette, Louisiana. The commercial pilot was fatally injured. The flight was being operated by Gulf Coast Helicopters, Inc., as a 14 Code of Federal Regulations Part 91 pipeline patrol flight, and no flight plan had been filed. Day visual meteorological conditions prevailed for the low-altitude cross-country flight. The flight originated from the Louisiana Regional Airport (L38), Gonzales, Louisiana, about 0730 and was destined for the Harry P. Williams Memorial Airport (PTN), Patterson, Louisiana. The helicopter was completing a scheduled biweekly patrol of a series of intersecting pipelines. When the helicopter failed to arrive at PTN, the operator notified the Federal Aviation Administration (FAA). An alert notice was issued, and a search was initiated. The helicopter wreckage was found the next day partially submerged in the Atchafalaya Basin, a remote, thickly wooded cypress swamp, about 15 miles east of Jeanerette, Louisiana. 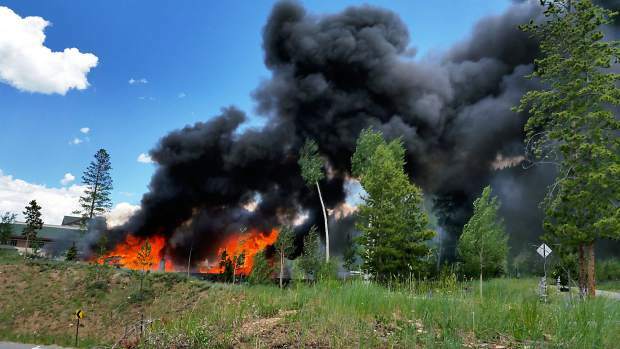 The pilot held a commercial pilot certificate with a rotorcraft-helicopter rating. He was not instrument rated although he had logged 5 hours in simulated instrument meteorological conditions. His second-class airman medical certificate, dated April 24, 2015, contained the restriction: "Must wear corrective lenses." The pilot's logbook was recovered from the submerged wreckage. It contained entries from August 8, 2012, through August 2, 2016. The pilot had successfully completed the practical test for a commercial pilot certificate on March 29, 2015, and according to the FAA, this met the biennial flight review requirements of 61.56 (d). At that time, the pilot had accumulated about 427 hours of flight experience. According to Gulf Coast Helicopters, the pilot was hired on June 8, 2015. At that time, he had logged a total of about 488 hours of flight experience. 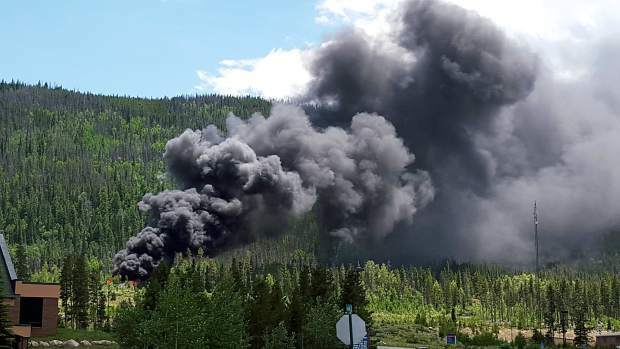 The operator reported that most of the pilot's activity in the past year was pipeline patrol with most of that flying about 500 ft above ground level. Based on a review of the pilot's logbook, his most recent FAA airman medical certification application, information provided by the operator, the helicopter's daily logs, and other records, the pilot's flight experience on August 2, 2016, was estimated to be 1,611 total flight hours, all of which were in helicopters and more than 800 hours of which were in the Schweizer 269. The pilot had logged 1,069 hours in the last 12 months, 225 hours in the last 3 months, 72 hours in the last 30 days, and 8 hours in the last 24 hours. The helicopter, serial number 0219, was manufactured by the Schweizer Helicopter Corporation in 2005. It was powered by a Lycoming HIO-360-G1A engine (serial number RL-29952-51E), rated at 180 horsepower. Power from the engine was transmitted through eight drive belts and two drive shafts to the three-bladed main rotor and the two-bladed tail rotor. The helicopter had a gross weight of 1,750 pounds. According to the maintenance records, the helicopter's last annual inspection was on September 20, 2015, and the last 100-hour inspection was on July 28, 2016, when the helicopter had accrued 5,595.4 flight hours. The engine was remanufactured by Lycoming on March 6, 2013, and it had accrued 4,199.2 flight hours at that time. The National Weather Service forecast chart indicated that scattered rain showers and thunderstorms were expected over southeastern Louisiana with summer air mass type convection. The surface analysis chart with a satellite composite image overlaid for 1000 depicted a large circular area of enhanced clouds associated with convective clouds or thunderstorms over southeastern Louisiana; the accident site was located adjacent to the eastern edge of this area. The area indicated an anticyclonic or clockwise wind flow. Cloud cover ranged from clear skies over the northern and western portions of Louisiana to overcast skies over the New Orleans area with thunderstorms and rain being depicted in that area. The national composite radar mosaic for 1045 depicted a large area of intense-to-extreme intensity echoes over southeast Louisiana with the strong portion of the echoes between Baton Rouge and New Orleans. Only very light intensity echoes were depicted bordering the accident site eastward. The closest weather reporting facility was the destination, PTN, located about 18 miles south of the accident site. At 1056, PTN reported visibility 5 miles in moderate rain and mist, a few clouds at 8,000 ft, ceiling overcast at 10,000 ft, and lightning distant northeast, east, and southeast. A thunderstorm began at 0957 and ended at 1019. Another thunderstorm began at 1021 and ended at 1049. Rain began at 1002, ended at 1012, and began again at 1029. Visual flight rules (VFR) to marginal VFR (MVFR) conditions prevailed at the station due to the light rain and broken to overcast cloud layer. The next closest weather reporting facility was Acadiana Regional Airport (ARA), New Iberia, Louisiana, located about 25 miles west of the accident site. At 1053, ARA reported VFR conditions with clear to partly cloudy skies with no thunderstorms reported. The next closest weather reporting location was the departure airport, L38, located about 26 miles north-northeast of the accident site. At 1035, L38 reported thunderstorms with light rain and lightning distant in all quadrants. At 1045, the Geostationary Operational Environmental Satellite number 13 depicted a large cluster of cumulonimbus clouds over southeast Louisiana with cloud tops near 45,000 ft. The enhanced cloud centers were located northeast through east and southwest of the accident site. The accident site was under the anvil outflow or cirrostratus clouds from the cumulonimbus cloud system. Strong active convection was noted in the system to the east of Baton Rouge and off the Louisiana coast with overshooting cloud tops. The overcast cloud cover over the accident site was associated with high cirriform clouds. Due to the extensive cloud cover, it was not possible to determine if any low clouds were in the immediate vicinity of the accident site. The accident site was on the border between the forecasts for southwestern and southeastern Louisiana. The forecast for the southwestern portion of the state expected scattered clouds at 3,000 ft, light winds, and no convective activity. 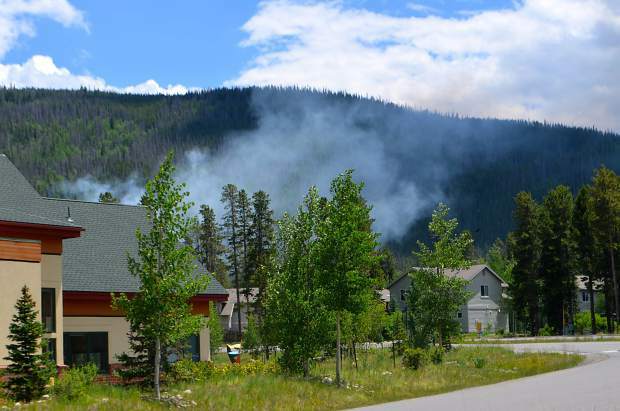 The forecast for the southeastern portion expected scattered to broken clouds at 4,000 ft with tops to 14,000 ft with isolated thunderstorms and light rain. The cumulonimbus clouds tops were expected to reach 45,000 ft. The quantitative precipitation forecast indicated a chance of precipitation between 0.01 to 0.10 inches over the accident site. The helicopter was partially submerged in the swamp in a nose-down attitude. There was a hole in the overhead trees, consistent with a steep descent. There were also blade strike marks on the tree trunks. The wreckage was recovered and transported to Air Salvage of Dallas, Lancaster, Texas, where it was further examined on August 31, 2016. The tailboom was intact but separated from the steel tube frame. The main rotor blades were bent and separated. There was impact damage to the aft cabin wall, bulkhead, and forward side of fuel tanks. The seat deck assembly was compressed and folded back toward the aft cabin wall. The aft cabin wall was deformed and pushed aft. The forward sides of both fuel tanks were compressed and deformed, and the aft portions were intact and remained relatively in their original shapes. The mast was intact. The forward bulkhead mount tabs were fractured. The canted horizontal stabilizer was not present. The forward attach fitting remained attached to the tailboom. The lower vertical stabilizer was crushed and deflected to the right with a large rounded dent, which deformed the boom and was oriented about 90° to the longitudinal centerline of the tailboom. The landing gear was damaged. Neither of the forward skids were present for examination. The left side forward strut was not recovered. All remaining struts and damper attach points exhibited damage consistent with the landing gear assembly being pushed aft. The aft crossbeam was intact and relatively straight. The forward crossbeam was bowed aft in the center section but remained straight in the outer ends. The right hand drag strut was straight and fractured at the aft rod end bearing threads. The left drag strut was bent in the middle nearly 90° with the forward end remaining attached to the crossbeam and aft end to the aft strut. The yellow and red main rotor blades were bent in a spanwise downward direction. The blue blade separated near the root and exhibited minor downward bending, trailing edge wrinkles, and peeled upper skin near the tip. The red blade was bent up at the root with tearing and separation, and bent down about 90° midspan and down again about 90° near the tip. The yellow blade was bent down about 90° midspan and down about 30° near the tip. Both tail rotor blades were intact, straight, exhibited only minor damage, and remained attached to the hub. The main rotor head was intact and attached to the drive shaft. The swashplate was intact. The rotating scissors links were intact. The rotor head turned freely in the mast bearing. All three pitch housings remained attached to the main rotor hub. The pitch shaft droop stop lugs were intact and appeared straight. All three pitch housings rotated smoothly, flapped smoothly, and exhibited signs of contact with the upper hub, indicative of full-up flapping motion. All three main rotor dampers were attached at the pitch housings and the blade roots. The pitch change links were intact. The droop stop assembly was intact. The tail rotor fork and teetering bolt were intact. The assembly teetered properly. The pitch control unit was intact, rotated freely, and slid in and out on the pinion. It was attached to the pitch links, which were straight. The control bell crank was engaged in the pitch control housing and attached to the tail gearbox and the control rod. The tail rotor gearbox remained attached to the tailboom adapter, rotated, and exhibited continuity. The tail rotor drive shaft was bent at the forward bulkhead, and the drive adapter splines were intact. The main gearbox housing was intact, rotated freely, and exhibited continuity. The belt drive assembly was intact and did not exhibit damage. The upper pulley rotated and engaged the overrunning clutch properly. All pulleys were intact, all bearings turned, and the belts were intact. The engine drive shaft was undamaged. There was no evidence of preimpact discrepancies or anomalies with the airframe. The engine was generally intact. The fuel servo, engine-driven fuel pump, and the right magneto were still attached. Both magnetos were installed on a magneto test bench and rotated up to 2,000 rpm but no sparks were observed. The technician stated that the magnetos were probably not functioning due to internal corrosion caused by water submersion. The spark plugs were removed, and the engine rotated, producing thumb compression on all cylinders. Valve motion was noted on all cylinders. Fuel was found in the servo fuel screen, and no water was present. The electric boost pump was seized; the engine-driven fuel pump operated and pumped liquid; the gascolator was intact with some gas and water present; and the screen was not blocked. The fuel injector and the inlet fuel screen were clear. Fuel injector nozzles 1 and 3 were plugged with a foreign substance. Cylinder nozzle 2 was impact damaged. The remainder of the nozzles were clear and unobstructed. All fuel lines were secure, and the fittings were tight. Fuel and water was observed throughout the engine fuel system. Oil was observed in and around the engine during the engine examination. The oil system was complete and intact with no preimpact defects noted. The oil suction screen was contaminated with carbon deposits and plant material. Nothing was observed during the examination that would have precluded the engine from operating normally before impact. According to the Louisiana Forensic Center's autopsy report, the pilot's cause of death was "blunt force injuries." According to the toxicology screen performed by the FAA's Bioaeronautical Sciences Research Laboratory, Oklahoma City, Oklahoma, no carbon monoxide or drugs were detected in the pilot's blood. A cyanide test was not performed. The pilot tested positive for ethanol: 71 mg/dL in brain tissue, 60 mg/dL in muscle tissue, and 54 mg/dL in blood. N-butanol was detected in blood, and N-propanol was detected in muscle, brain tissue, and blood. According to the laboratory, the ethanol, N-butanol, and N-propanol were most likely the byproducts of postmortem putrefaction. On August 3, 2016, about 1047 central daylight time, a Schweizer 269C-1 helicopter, N1549W, was substantially damaged after impacting trees and terrain during a low-altitude cross-country flight near Jeanerette, Louisiana. The pilot was fatally injured. The helicopter was registered to and operated by Gulf Coast Helicopters, Inc.; Pearland, Texas, as a 14 Code of Federal Regulations Part 91 pipeline patrol flight. Visual meteorological conditions (VMC) prevailed and a visual flight rules (VFR) flight plan had not been filed. The helicopter had departed Louisiana Regional Airport (L38), Gonzales, Louisiana, about 0730 and was destined for Harry P. Williams Memorial Airport (KPTN), Patterson, Louisiana. The helicopter was completing a scheduled bi-weekly patrol of a series of intersecting pipelines. After the helicopter failed to arrive at KPTN the operator became concerned and notified the Federal Aviation Administration (FAA). An alert notice (ALNOT) was issued which directed an extensive communication search for the overdue, unreported, or missing aircraft. Coordination between FAA air traffic control (ATC), the U. S. Air Force Rescue Coordination Center (AFRCC), and volunteers from the Civil Air Patrol (CAP), resulted in several volunteer CAP cell phone forensic specialists being able to track cell phone data and determine the general area of the most recent location of the pilot's cell phone. 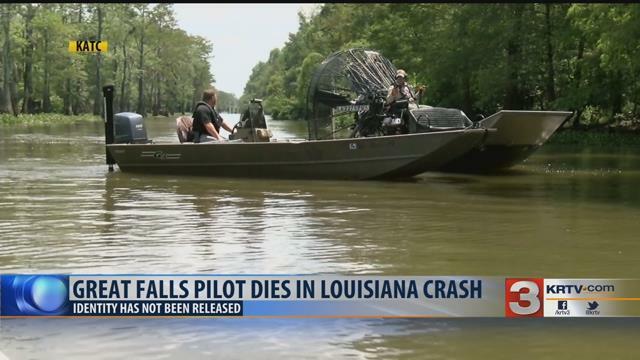 After an extensive airborne search by numerous aircraft, the crashed and partially submerged helicopter was found on the following day in a remote thickly wooded cypress swamp in the Atchafalaya Basin about 15 miles east from Jeanerette, Louisiana. The closest official weather reporting station was at KPTN, located 17 miles south from the accident location. At 1021 the Automated Surface Observation System at KPTN, reported wind from 060 degrees at 6 knots, visibility 10 miles, few clouds at 5,000 feet, scattered clouds at 12,000 feet, temperature 24 degrees Celsius (C), dew point 22 degrees C, with an altimeter setting of 30.09 inches of Mercury. Notations indicated the presence of lightning, thundershowers, and rain in the area. GREAT FALLS - Casey Clark, a 29-year old man originally from Great Falls, died in a helicopter crash in Louisiana on Wednesday. Iberia Parish Sheriff Louis Ackal said that Clark was a pilot working for Gulf Coast Helicopters and was living in Pearland, Texas. Ackal says Clark's family in Montana has notified. The Sheriff said the wreckage was found in the swamps of the Atchafalaya Basin, south of Baton Rouge, just after 9:30 a.m. on Thursday, about 100 yards from the pipeline that Clark was flying over on Wednesday. 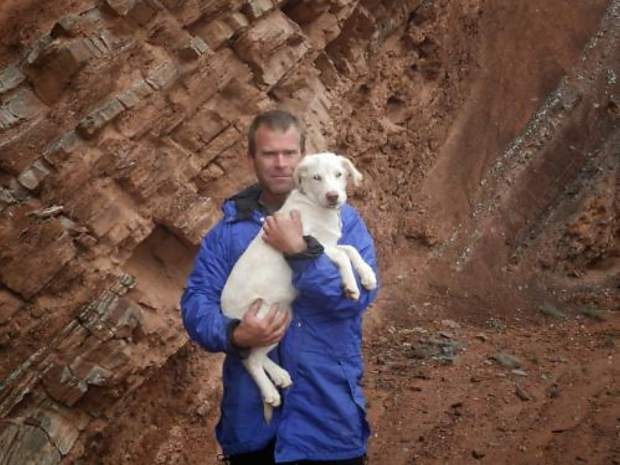 Clark was the only person on board and was doing pipeline inspections, the sheriff said. The wreckage was found nose down in the swamp, about 14 nautical miles east-northeast of Jeanerette, according to the Federal Aviation Administration. FAA inspectors are on their way to the crash site, and the National Transportation Safety Board has been notified. FAA records show the helicopter is registered to Gulf Coast Helicopters, Inc., a private helicopter rental company based in Pearland, Texas. A company representative who answered Gulf Coast Helicopter's emergency phone number said the company has no comment. That representative declined to give his name and position. The Federal Aviation Administration told KATC News that the helicopter was reported missing at around 4 p.m. Wednesday. Clark was flying from Gonzales to Patterson at the time. 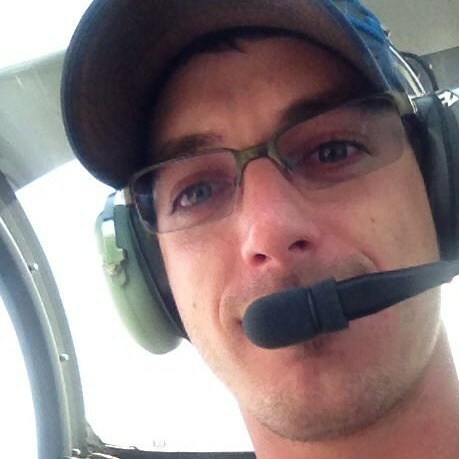 Sheriff Louis Ackal says that the body of the helicopter pilot has been identified as 29-year-old Casey Clark of Great Falls, Montana. 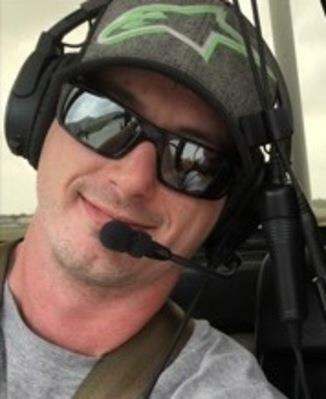 Clark was a pilot working for Gulf Coast Helicopters and was living in Pearland, TX. 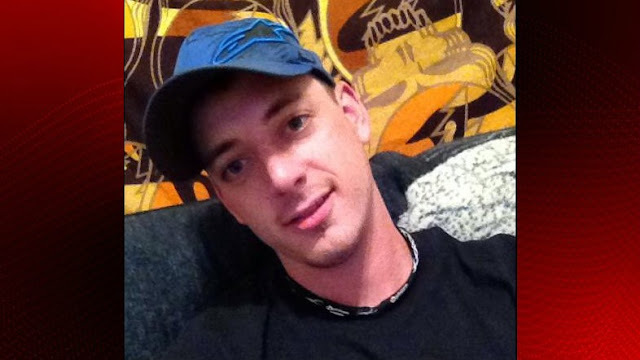 Ackal says Clark's family, living in Montana, have been notified. Sheriff Louis Ackal says he and the coroner cannot confirm the identity of the helicopter pilot because the body's state. Ackal says the coroner try to identify the pilot by a tattoo on his arm. If that fails, the coroner will use dental records to confirm the pilot's identity. Gulf Coast Helicopter Inc. claims to have "accident free air services for over 32 years," on its website. Our investigative team checked that claim and, aside from yesterday's crash, found only one minor accident in the company's history. In 2000, a small plane owned by the company was substantially damaged when it nosed down during landing at a small airport south of Houston. The pilot was not injured, and investigators found that a gust of wind caused the pilot to overcorrect, lose control of the plane and bounce to a landing on its nose. The company owns a fleet of 18 small planes and helicopters and has never been sued in Houston federal or local courts, nor has it ever been cited by the Occupational Safety and Health Administration. 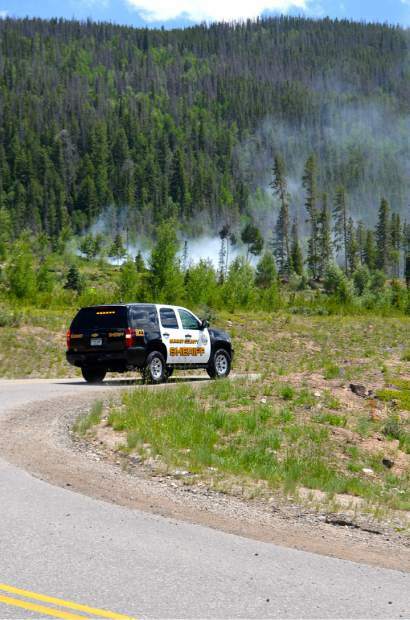 The body of the helicopter pilot has been found, Sheriff Louis Ackal said. The body was found in the Atchafalaya Basin after the helicopter crashed Wednesday. 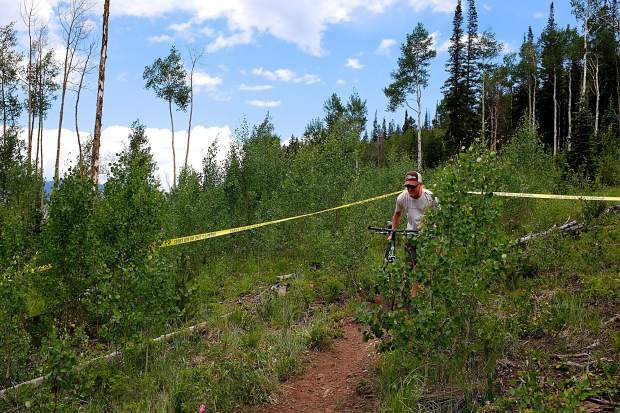 The wreckage was found just after 9:30 a.m. this morning, and the body was found shortly afterward, the sheriff said. 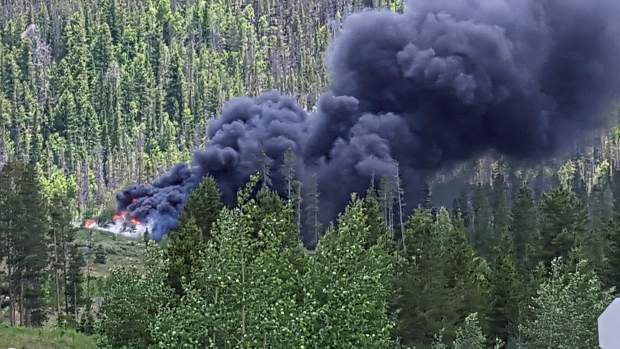 The pilot was the only person on board and was doing pipeline inspections, the sheriff said. The victim's identity has not yet been released. Authorities identify him as a 29-year-old male. The wreckage was found nose down in the swamp, about 14 nautical miles east north east of Jeanerette, the FAA said Thursday morning. FAA Inspectors are on their way to the crash, and the National Transportation Safety Board has been notified. The NTSB will be in charge of the investigation. The helicopter is owned by Texas-based Gulf Coast Helicopters, Inc. According to Sheriff Louis Ackal the helicopter that crashed in the Atchafalaya basin Wednesday was discovered this morning. Search crews are back out today looking for the pilot. Right now, rescue crews are on the scene of a civilian helicopter crash in Iberia Parish. According to Sheriff Louis Ackal, the crash happened in the Atchafalaya Basin in the Iberia Parish panhandle. Ackal says at least one person is in the water. He says Iberia and St. Mary Parish sheriff's deputies, Wildlife and Fisheries agents, and Coast Guard officials are on the scene searching for wreckage and the people on board the helicopter. Louisiana State Police is also joining the search, using their helicopter to track heat signatures in the water. Initially, Sheriff Ackal said the helicopter involved was an Air Force helicopter. However, FAA records show the helicopter is registered to Gulf Coast Helicopters, Inc., a private helicopter rental company based in Pearland, Texas. Sheriff Ackal later told us that he was initially told the aircraft was a military helicopter, but he later learned that it was a privately-owned craft. The Federal Aviation Administration tells KATC that the helicopter was reported missing around 4 p.m. Wednesday. The helicopter was flying from Gonzales to Patterson when it went missing. Capt. Brian Vallier with the Louisiana wing of the Air Force Auxiliary says no civil air patrol personnel were on board the rotorcraft. 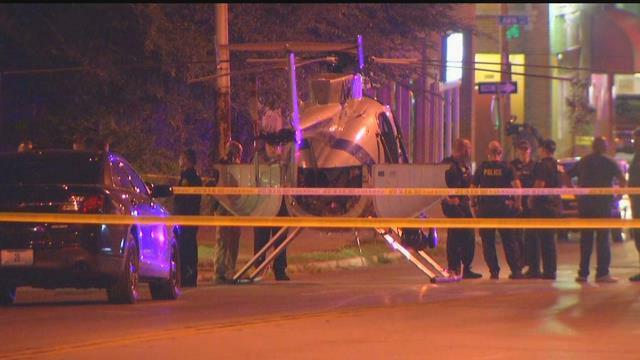 The Kansas City Police Department’s helicopter made an emergency landing Wednesday night. Police say the helicopter landed just before 8:30 p.m. on the intersection of Independence and Elmwood avenues. KCTV5 spoke to a couple of young girls who were just getting out of church when they saw the helicopter up above. "I was so scared," said Melanie Valdes, 13. "I thought it was going to hit the church; like fall on us. I was really scared. But when they told us no one was injured, we were like, all relieved and fine." "They say that it was surprising because it didn't get any wires," said Jimena Ponce, 12. "And no one was hurt." The pilots landed the helicopter upright. Police said a mechanical problem with the helicopter forced the emergency landing. The intersections of Spruce to Van Brunt on Independence Avenue were closed. The solo student pilot reported that during the landing roll, the airplane drifted to the right of the runway centerline and he applied left rudder to correct. He further reported that he decided to abort the landing and applied full power. Subsequently, the airplane veered to the left, departed the runway, and nosed over in rough terrain. The student pilot reported that the airplane remained at "full power" through the nose over. The student pilot did not report any mechanical malfunctions or failures with the airplane that would have precluded normal operation. 1. Torque reaction from engine and propeller 2. Corkscrewing effect of the slipstream 3. Gyroscopic action of the propeller 4. Asymmetric loading of the propeller (P-factor)" It is likely that the student pilot did not counteract the left turning tendencies with sufficient right rudder after power was added to abort the landing. The student pilot's failure to maintain directional control during an aborted landing, which resulted in a runway excursion and a nose over in rough terrain. AIRCRAFT ON LANDING WENT OFF THE RUNWAY AND STRUCK A TAXIWAY SIGN, LAFAYETTE, INDIANA. The tailwheel endorsed pilot reported that he was practicing stop and go landing's in a make and model tailwheel-equipped airplane that he had never flown before. During the fourth stop and go, the pilot reported that during the landing roll at 35 miles per hour the airplane began to turn to the right and he attempted to correct. Subsequently, the airplane continued to the right, departed the runway, and ground looped. During the ground loop, the left main landing gear collapsed and the left wing was substantially damaged after the impact with terrain. The pilot's failure to maintain directional control during the landing roll, which resulted in a runway excursion and a ground loop. AIRCRAFT. EXPERIMENTAL KIS TR-1, WHILE ON RUNWAY, NOSE GEAR COLLAPSED, MANASSAS REGIONAL AIRPORT, MANASSAS, VIRGINIA.